The idea of smoking potatoes came to me by attending a cooking workshop with Mr. Steven Raichlen at the Zeste studio. The flavours of maple, smoke and rosemary complement each other wonderfully. 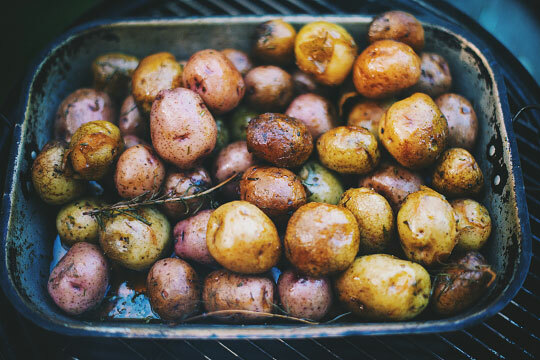 I love serving these amazing potatoes with a homemade ham, grilled meat or at brunch! Please note : I doubled the recipe for the picture. Boil the potatoes for about 12 minutes or until tender. Drain and set aside. In a bowl, add the rest of the ingredients then generously season with salt and pepper. Toss. 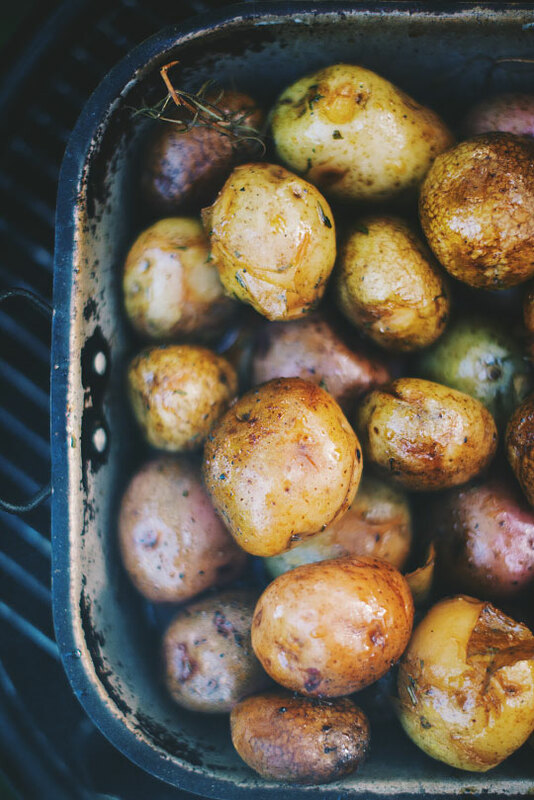 Preheat your smoker to 200° F.
Place the potatoes in a large aluminum pan and pour the mixture over it. Season with salt and pepper and toss gently. Place in the smoker and smoke for 1h30, adding a handful of wood every 15 minutes. 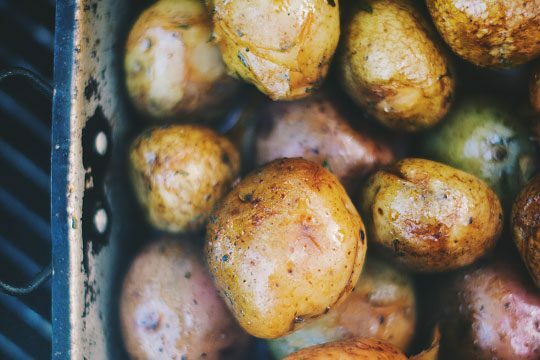 Maintain temperature at 200 ° F and toss gently from time to time, splashing the potatoes with juice in the bottom. Serve with this same delicious juice!